🔗 What is the purpose Governor? 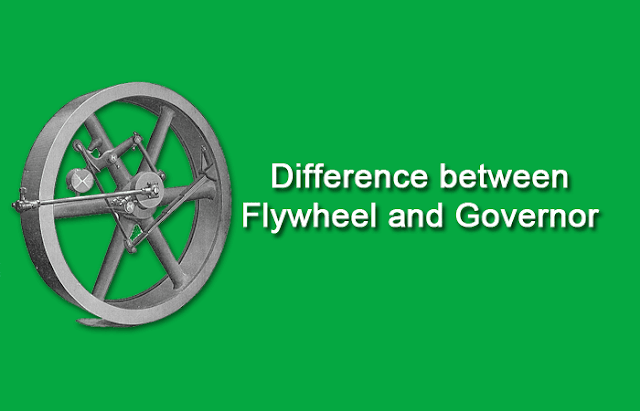 Flywheel reduces the fluctuation of speed during the thermodynamic cycles, but it does not maintain a constant speed. Governor is a device to control the speed variation caused by the varying load. The working of a flywheel does not depend upon the change in load or output required. Governor operation depends upon the variation of load. The operation of flywheels is continuous from cycle to cycle. The operation of a governor is intermittent. The function of a flywheel is to store energy when mechanical energy is more than required for the operation and release the same when the available energy is less than required. Its inertia helps to run machines at a dead center. The function of a governor is to regulate the fuel supply according to the load requirement and run the machine at a constant speed irrespective of the output required. Do not have any control over the supply of charge or fuel. It is relatively heavy and has large inertia force. It is used in engines and fabricating machines such as punching machines, rolling mill, etc. Governors are provided on engines and turbines.